Summary: Jack might be the only kid in the world who's dreading summer. But he's got a good reason: summer is when his single mom takes a second job and leaves him at home to watch his autistic kid sister, Maddy. It's a lot of responsibility, and it's boring, too, because Maddy doesn't talk. Ever. But then, one day at the flea market, Maddy does talk—to tell Jack to trade their mom's car for a box of mysterious seeds. It's the best mistake Jack has ever made. 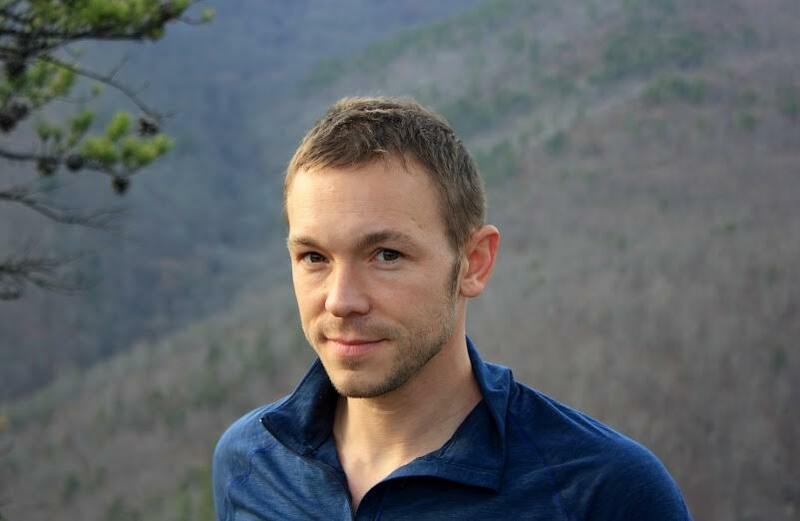 This was my first introduction to Ben Hatke's work and I am blown away! This graphic novel series has the recipe for success >>> whimsical, adventurous, fearless characters and imagery that are just so darn vibrant! 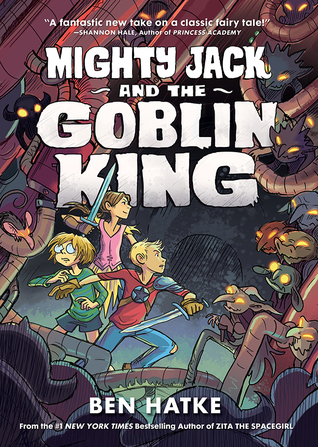 This series is sure to please middle grade connoisseur's of graphic novels but I venture to say that it will likely catch reluctant readers and even the well weathered book worm too. 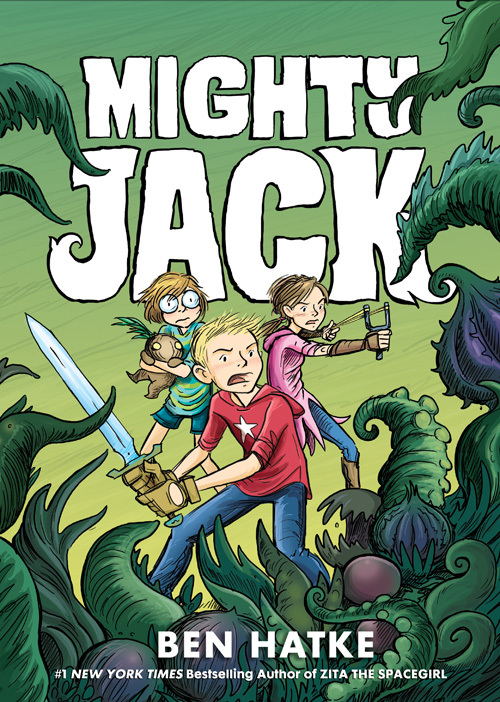 The Mighty Jack made me laugh like The Diary of a Wimpy Kid series albeit they come from two completely different genres, Jack & Lilly still gave you the deep belly laugh! And some of the situations really made me wince... the rats... ew but it was so awesome. And we can't forget that Jack has a superb partner in crime, Lilly... Oh Lilly you are just too cool for school! I hope that Lily will eventually get her own adventure but in the meantime these two are a dynamic duo. It is no secret that I love the feel of an actual book but I would totally recommend this series in a digital format simply because of the beautiful illustrations. This would be an ideal ebook to gift to a teacher or tech savvy middle grader. Want more Jack? Follow along with this blog tour for fantasy adventure you just can’t miss!